Small religious affiliated nursing homes usually provide great care. Green House Residences at Stadium Place is not an awful exception to the rule but its objective ratings do not leave anyone impressed with the care they are giving. Based on its most recent standard Medicare inspection (August 2015), this facility just has a lot of problems. Medicare ranked Green House as "average. " And that might be generous. Green House is a nonprofit corporation in Baltimore affiliated with the Catholic Charities of Baltimore, an organization that has undoubtedly does wonderful things in Baltimore City. Green House Residences has 49 certified beds. Its services include restorative nursing care, respite care, long-term care, and physical, occupational, and speech therapy. Promises, promises, promises. Nursing home operators like to make them. The Green House claims to offer "a new approach." But based on its most recent standard Medicare inspection (August 2015), this facility has a lot of the same old familiar nursing home problems. Medicare ranked Green House as "average." FutureCare Charles Village, LLC: One of three FutureCare facilities situated within two miles of The Green House Residences, this Baltimore facility comes closest of the three to being on par with Green House in terms of Medicare scores. One or the other facility is a point better on one or another Medicare subcategory, and both facilities got a 3-star (average) rating overall. FutureCare Homewood: This FutureCare facility is better than Green House, according to Medicare. The two Baltimore facilities score equally on two main measures, but Homewood tops Green House, four stars to 2 stars, on the health inspection, and edges Green House by four stars to 3 stars overall. FutureCare Cold Spring: This Baltimore facility's Medicare scores are odd: top-notch 5-star ratings for staffing and quality measures, but a sad 1-star rating for its health inspection. The net result is that FutureCare Cold Spring got an overall 2-star rating from Medicare, versus the 3-star rating that went to the overall average Green House. Keswick Multi-Care Center: Baltimore's Keswick Multi-Care Center slightly outdoes Green House on Medicare quality measures, but gets a 1-star rating on its health inspection (not good). Overall, Green House beat Keswick, three stars to 2 stars. Roland Park Place: Located in an upscale part of Baltimore, this facility has Medicare scores that almost nobody beats: three 5-star ratings (including its overall score) and one 4-star rating (which means above average). Roland Park Place comfortably beat Green House in all four of the main Medicare rating categories. This facility was distinctly below average in its last Medicare health inspection. The average Maryland nursing home, on inspection, will have 11.4 heath-related deficiencies; the average U.S. home will have 7.1 deficiencies. Green House had a breathtaking 23 deficiencies - over twice the Maryland state average and over three times the U.S. average. It's a wonder that this facility got two stars, not 1 star, for its health inspection. Green House had deficiencies in all eight measured categories. It had three deficiencies apiece for resident assessments and resident rights. It had four administrative deficiencies, and six for pharmacy services. It had two apiece for quality care, environmental issues, and nutrition and dietary management. It had one deficiency for mistreatment. All these deficiencies suggest a composite picture of a place where the operators mess up the paperwork, serve up questionable food or the wrong meds, and at times even subject a resident to mistreatment. We don't know specifically what form those 23 deficiencies actually took, but it sounds like this facility ought to try "a new approach." Green House has had no federal fines or payment denials in the past three years. However, a complaint inspection at this facility in April 2016, exposed further imperfections. Medicare cited Green House because one resident's call bell was unreachable and out of order; because staffers failed to formulate a plan for addressing another resident's significant weight loss; and for failing to report finding bruises "of unknown origin" on the forehead and arms of a cognitively impaired resident. Two complaints concerned situations that could have caused serious harm to residents. A doctor prescribed medication for a resident without weighing possible drug interactions or the potentially dangerous combination of that drug with certain foods. The pharmacy consultant didn't catch this error either. In another complaint, two staffers were found to be preparing food for residents without wearing hairnets - which could have contaminated the food and thus, said Medicare, "had the potential to affect all residents in the facility." A Medicare inspector happened to pass one resident's room to see the resident, alone, trying to consume juice with a fork. This was despite a doctor's orders that staffers supervise her mealtimes because of her mental decline and her difficulty in swallowing. This incident didn't quite square with the Green House claim to give its residents "all of the support they need." The Green House is comparatively small in terms of its resident population: only 45 residents at the last official count (with a maximum capacity of 49). By contrast, the U.S. residential average is 86.2 - nearly twice as high - and the Maryland statewide average is even higher, at 107.5. Yet even with a relatively small population for whom to care, this facility has had some odd lapses. Green House got its best Medicare score - 4 stars, or "above average" - for its nurse staffing. However, this facility rated below-average in four out of five nurse staffing categories (for which the operable metric is the amount of time spent by nurses in each category). The total nursing time per resident per day here was1 hour, 24 minutes: 18 minutes less per day than the national average, and 27 minutes below the Maryland statewide average. Green House got a 4-star rating on RN staffing, although RN daily time per resident here was a bit below both the state and U.S. averages. Residents here got only about two-thirds as much time, compared with the Maryland and U.S. averages, with LPNs and LVNs (licensed practical nurses, licensed vocational nurses). Residents' time with physical therapists was the same as the national average, but less than the Maryland average. This facility tries to make up for those below-average numbers with its certified nursing assistants. At 4 hours and 43 minutes per resident per day, this facility's CNAs give residents almost twice as much time as the Maryland and U.S. averages. That 4-star nursing staff earned this facility a 3-star average Medicare rating for quality measures, which are stats on the types and amounts of care residents receive. For these measures, Medicare distinguishes between short-stay and long-stay residents. For short-stay residents, Green House did better than average in three Medicare categories and worse in six. First the good news: short-stay residents here were less likely than average to have a pressure ulcer (bed sore). They were less likely to be on antipsychotic meds. They were slightly more likely than average to be discharged successfully. But (to start the bad news) once discharged, they were more likely than average to be rehospitalized or make a visit to the ER. They were more likely than average to report having moderate to severe pain. They were much less likely to get flu or pneumonia shots (only about half of the short-term residents here, versus about four in five statewide and nationally). And they were much less likely than average to show improvement in functionality: 41.4 percent of the short-stay residents here did so, versus 64.6 percent on average in Maryland and 63.3 percent on average nationally. The Green House did score better than the state and national averages in eight of 15 measured categories for long-stay residents. These residents were slightly more likely than average to maintain their mobility and their independence in conducting routine daily activities. They were less likely than average to suffer a fall with injury or require ongoing catheterization. None of the long-term residents here were subjected to physical restraints. On the downside, long-stay residents here were more likely than average to get urinary tract infections; more likely to lose much too weight, and more likely to report having serious pain. You can also make no mistake about these numbers. They are not good. By far the facility's worst metric was on bed sores: the incidence of pressure ulcers among its long-stay residents was 16.8 percent - well over double the Maryland and U.S. averages of 6.9 percent and 5.7 percent, respectively. Whenever a stat is very much worse than the averages, it's a red flag. The fact that this stat concerns pressure ulcers might make it worth two red flags - because the presence of pressure ulcers may imply the absence, or insufficiency, of care. The Green House Residences paints a different picture. 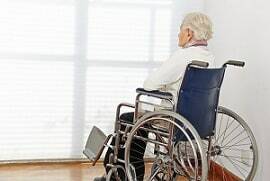 "Elders are encouraged to make themselves at home, decorate their private rooms and baths with their own belongings," the Catholic Charities websites says. "They have easy access to all areas of the house, including the kitchen, laundry, outdoor garden, and patio. Elders are free from schedules and can eat, sleep, and entertain themselves when and where they choose." We applaud the Green House for attempting to create a pleasant environment and atmosphere for its residents. But we offer words of advice to this (and every other) nursing facility: don't overpromise. Has someone you love suffered needlessly because a Baltimore nursing home or assisted living facility made an error? Call our nursing home attorneys today at 800-553-8082. Not ready to make a call? You canget a FREE no obligation online case analysis. What can you expect in a nursing home lawsuit? Our lawyers guide you through the path you can expect to take if you bring a claim. Call our Baltimore elder care lawyers right now at 1.800.553.8082 or get a confidential and FREE online case review. We can help you get compensation and justice.